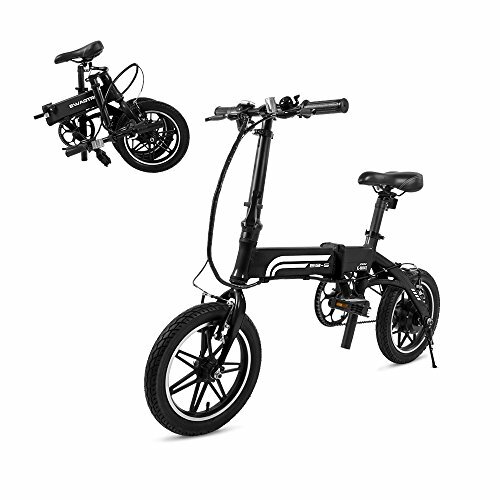 Thinking about buying an electric folding bike? Want to learn more about their many benefits? 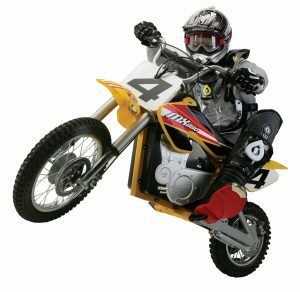 If you’re getting frustrated with your regular, large bike, then you may need to start looking for alternatives. An electric folding bike can be a great option that will change the way you get around throughout the week. Below we’ll look at the very best benefits of buying an electric folding bike. While there are some misconceptions about biking to work, the truth is that bikes are a great choice for a morning commute. However, with a folding bike, your commute will become even easier. If one part of your commute requires a bike ride then you’ll be able to use your bike. However, if you need to hop onto a bus or train for one part of your journey it will be simpler than it ever has been before. When you have a bike that can be folded down into a compact form you’ll be able to easily get on and off of the bus without standing out or bothering other passengers. While the perks of your morning commute are easy to see, a compact foldable bike will also give you greater flexibility in other ways as well. If you’re going on a vacation or long trip, nothing beats the simplicity of a foldable bike. You’ll be able to easily carry your bike along with you and pack it more easily during transit. 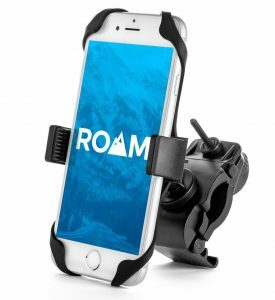 This kind of portability can really increase your options and make traveling for longer trips a breeze. Along with a great solar backpack, you’ll be able to travel better than ever before. 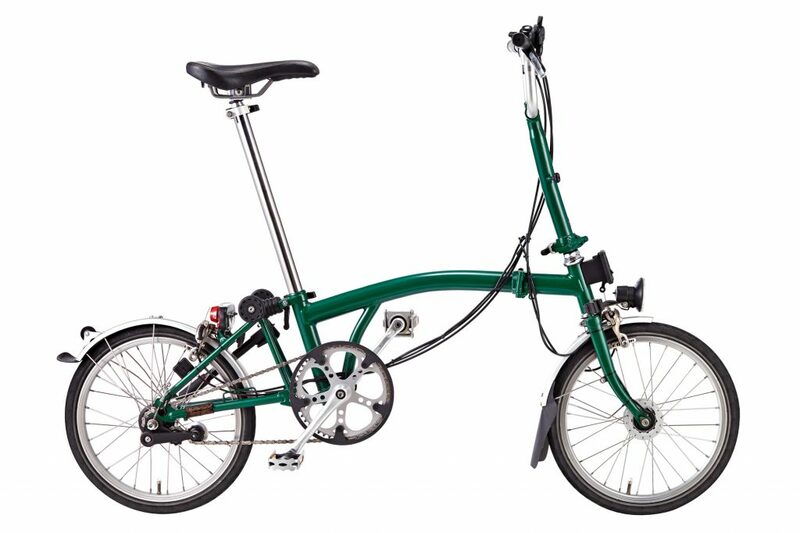 When you have a folding bike you’ll be able to keep it safe and secure. You’ll no longer have to worry about thieves who are just looking for a bike to take. While you may chain up your regular bike outside when you go into the office or are running errands, it’s sometimes not enough to protect it. 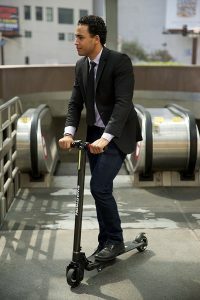 With a folding bike, however, you’ll be able to fold it up and take it into the office. There will be no more leaving it outside in the rain or worrying about it getting stolen while you aren’t looking. While we’ve mentioned the benefits of a folding bike, the electric perks can also be a big help. As though your commute wasn’t improved enough by having a folding compact bike, the extra power can be a big help too. With an electric bike, you’ll be able to move faster and have more power than ever before. If you need to climb a steep hill or you need to get to work faster, a folding electric bike will give you the extra power to do it. 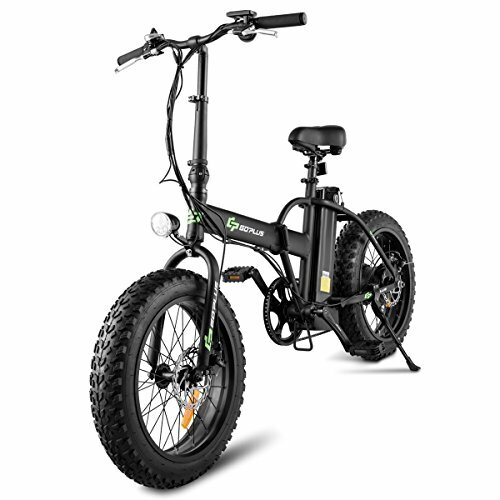 Oddly enough, an electric folding bike can also help keep you in better shape than a normal bicycle. 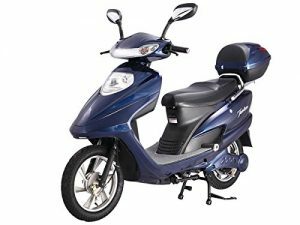 Electric bikes have a lot of health benefits and owners of electric bikes tend to ride more often and go further. 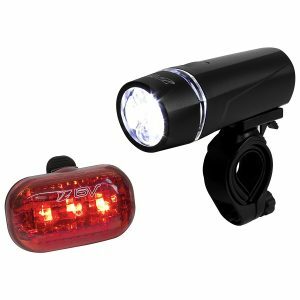 While the electricity will help a bit when you’re riding the bike you’ll also still be doing plenty of pedaling. Because of this, you’ll get a greater workout and you’ll get it more often when you own a folding electric bicycle. 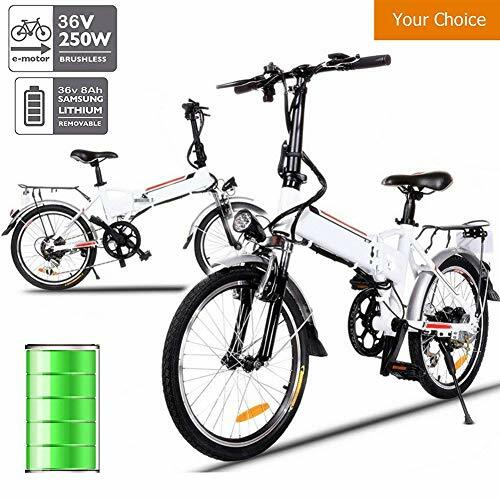 An electric folding bike can be a great purchase that can improve your lifestyle for the better. When you have a folding electric bike you’ll have more flexibility for how you get around and how fast you get there. When you compare the benefits above to a normal bicycle, it’s easy to see what the better option is. 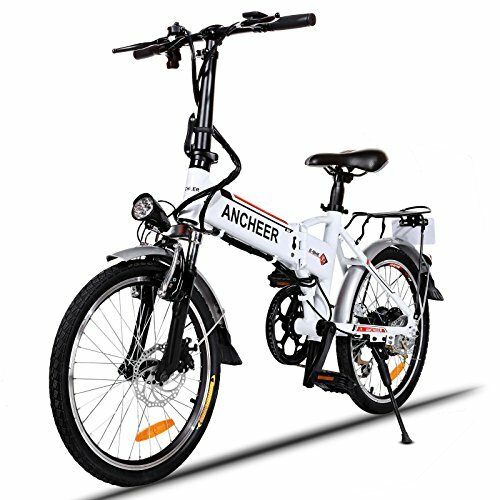 Ready to buy a folding electric bike? Check out the Best Electric Folding Bikes right here right now. Our post on the best Electric Bikes under $1000 might also be something you’d like to see. 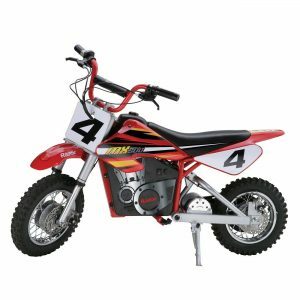 SERVICE AVAILABLE --- With one-year warranty for the electric motor, battery and other parts except for frame, no worry about using it. This bicycle arrives 85% assembled. It's not hard to finish aseembly by yourself. The assembly service on this page is provided and charged by Amazon's third-party company, if you can't finish by yourself, click on the "Select Assembly " button above; choose "Ship to store for assembly and pick up". 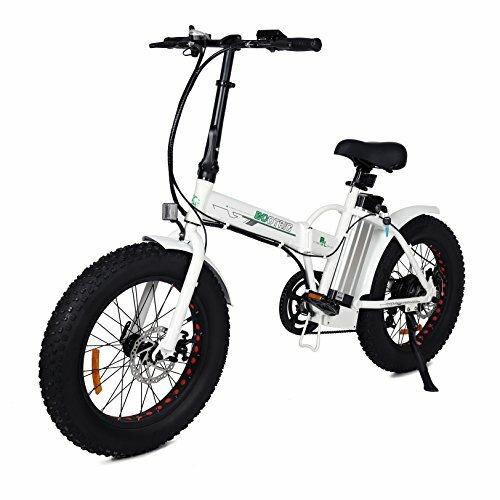 【Industry Aluminum Alloy Frame】This folding electric bicycle adopts lightweight yet strong aluminum with anti-rust and anti-exposure painting material, it will serve you for a lot of years. 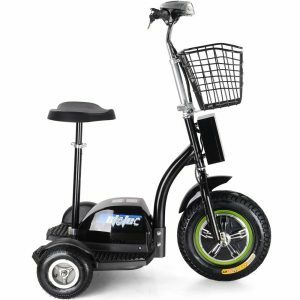 【Large-capacity Lithium Battery】The 48V/10AH lithium battery of the electric bicycle supports 25mile (E-Bike Mode) ridding. 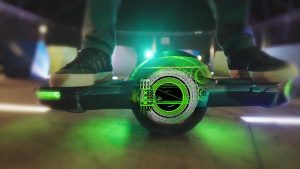 It equipped with smart lithium battery charger has fast charging (5 hours). 【Strong and Durable Fat Tires】High-volume 4'' tires mounted to 20'' rims allow riders to experience the maximum traction and smooth ride of a real fat bicycle. The anti-slip thick tire is great for rainy or snowy mountain way and road way. It is foldable and will save much space for your daily use. 【Brake and Motor System】This electric bicycle has mechanical front and rear disc-brake design which puts control and safety at your fingertips. 7-speed Shimano professional transmission system provides great climbing ability and can help you conquer a variety of terrain. 【E-bicycle and Assisted Mode】With the e-bicycle mode, you do not need to ride, with the assisted mode, you can do some exercise. LCD display can show you 5 different assist adjustment. 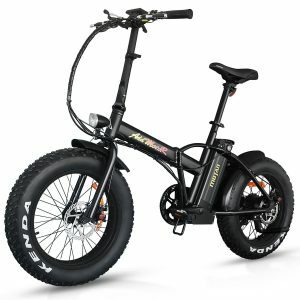 Still looking for the perfect electric bike : These electric bikes or perhaps even an electric moped might be just right for you.